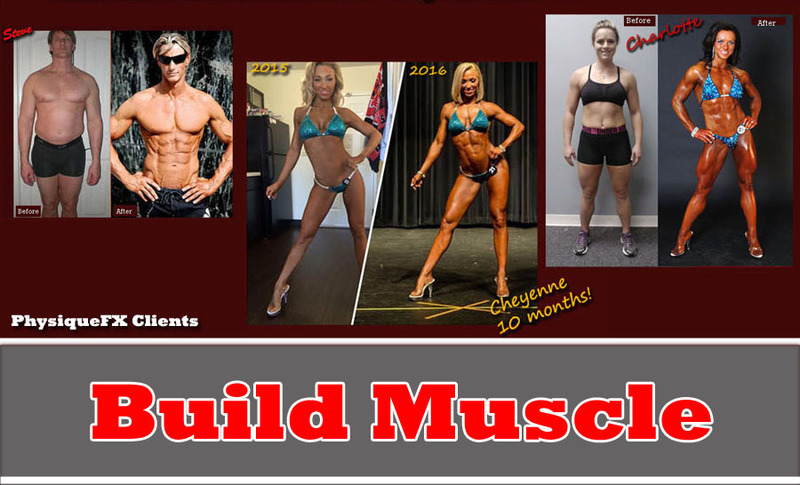 For clients who live in the Tulsa, OK area, my In Person Nutrition and Training Programs are an excellent choice for anyone, from the beginner to the advanced athlete, who wants to change their body and establish a healthy and effective nutrition plan. Your program will be designed specifically for you, according to your goals, schedule and individual needs. My In Person programs allow me the opportunity to sit down and meet with my clients once per month to assess their progress, answer questions, and discuss topics and goals in person. During these meetings I have the ability to see a client’s progress first hand, make any adjustments necessary to their program, and assist with setting new goals when their initial goals are reached. These in person meetings also provide an additional level of accountability and motivation to help keep clients on track and progressing toward their goals. Whether your goal is Fat Loss, Building Lean Muscle, or changing your entire body my Personalized In Person Nutrition and Training Programs will start you on the road to a new you! The Personal Metabolic Profile explains in detail how many calories are required to maintain your current weight, as well as how many calories are required to reach your goals. You'll receive a 7 day Nutrition Plan that details exactly what to eat, and when to eat it for the entire week. The Nutrition Plan is designed specifically for you based on the information you will provide about your goals, daily schedule, food preferences, your past training and dieting history, and your Personal Metabolic Profile. Your nutrition plan will be designed to provide the right nutrients at the right times during the day, based on your personal schedule and your food preferences, to allow you to most effectively reach your goals. You will rotate through this plan each week and I will make any necessary modifications to your plan based on your actual progress toward your goals. You'll receive a personalized Training Program designed specifically for you based on your goals, and built around your schedule and available equipment. Your program will be designed to provide the fastest path for you to achieve your fitness goals, based on your training history and available equipment. Whether you train at home with limited equipment, or at a state of the art training facility, I will design a custom program just for you. You are not required to purchase any supplements for any of my programs. I do generally recommend the use of a basic Whey Protein of your choice and a Branched Chain Amino Acid supplement to maximize endurance and recovery, but these are not required if you prefer not to use them. If you are interested, I will also recommend other effective supplements which could be used to help maximize your results based on your specific goals. You are never required to purchase any supplements from me during your program. I schedule monthly in person consultations with each In Person training client to assess their progress, answer questions, and make any necessary adjustments. I will personally monitor your progress throughout your program and make any necessary adjustments to keep you progressing toward your goals. Your program will include a form to track certain measurements and stats based on your specific goals, and I ask that you provide a short update each week on your progress and monthly updates on your measurements. When possible, it is also beneficial for clients to take digital camera pictures, and update their progress photos monthly. I will combine the information from your updates each week and your monthly measurements and pictures to monitor your total progress and I will make any adjustments necessary as you go along to keep you progressing as planned. Unlimited email support is included during your program period. You may send any questions you have and I will answer them for no additional charge. There are never any additional charges for support or consultation during your program. The 6 and 12 Month In Person Programs have all the features of the 12 Week Program but are designed for those who have goals that will realistically take longer than 12 weeks to achieve. Purchasing the 6 and 12 Month programs provides substantial savings over buying multiple 12 week programs in a row, and gives the client 12 months of support and training to help them reach their goals. The 6 and 12 Month programs will include multiple training phases throughout the year, generally alternating between fat burning phases and lean muscle building phases. However, the exact training phases will depend on the individual goals and needs of each client. These longer term programs are great for everyone from the beginner to the advanced athlete. 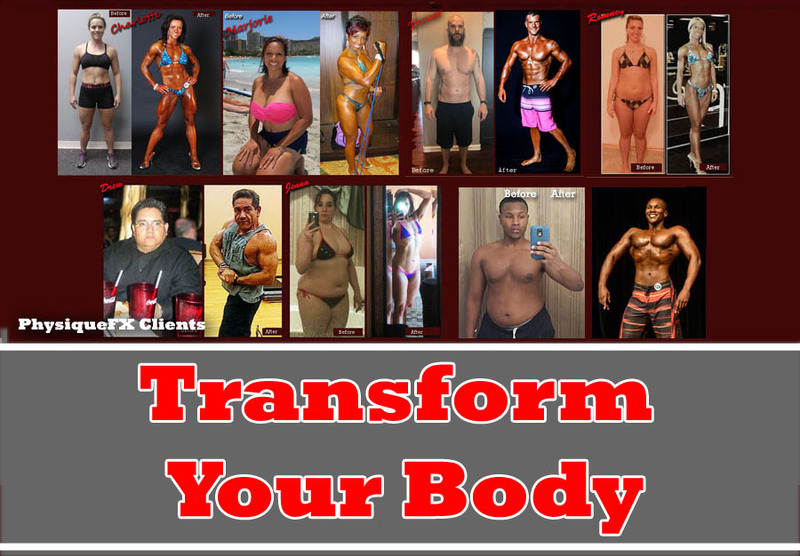 Your training and nutrition program will be designed for you based on your individual needs. Take the guesswork out of your training and nutrition and focus on reaching your goals! I have special programs available for couples or training partners who want to do a program together. These two person programs offer significant price savings over purchasing individual programs, and offer even greater savings for longer duration training. The two individuals do not have to have the same training goals. 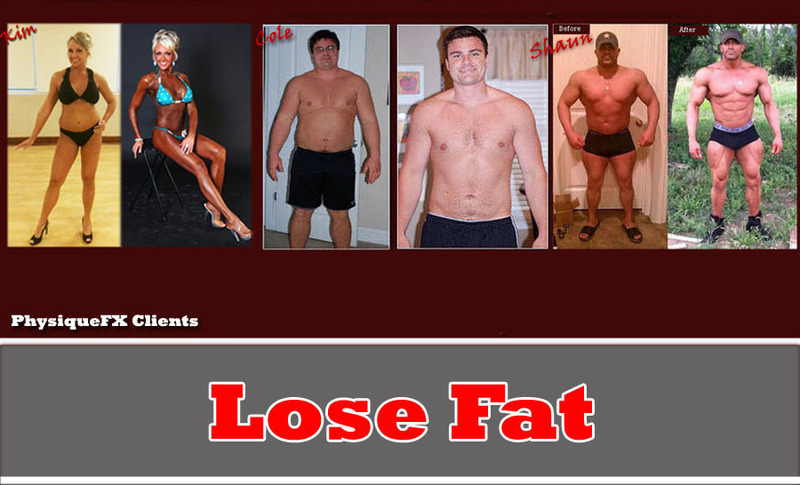 For example, one program can be designed as a lean mass building program, and the other can be a fat burning program. 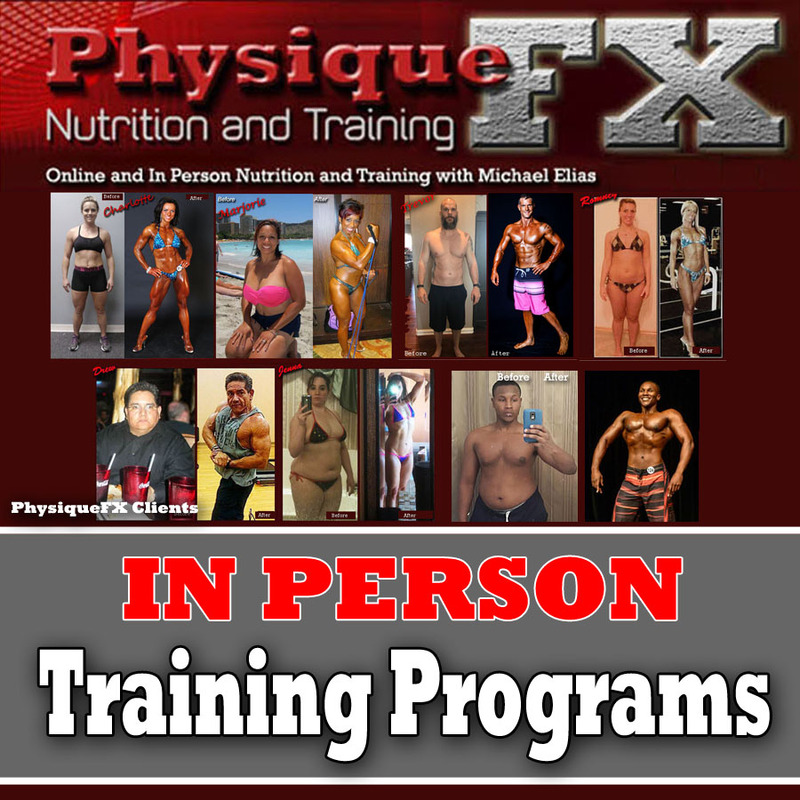 I will design each program independently for each client. In situations where the two individuals live in the same household, the two programs can be designed so the same general grocery items are used on both programs, where applicable, to simplify shopping. When two clients are going to be training together and have the same general goals, the programs can be designed to utilize the same exercises, where applicable, to make training together more efficient. I know that having the support of a loved one or training partner significantly increases results. So, I have created these specials to encourage clients to train together for success. To see the available two person specials and associated pricing, select Two Person Specials, under the Categories heading on the main page. Please let me know if you have any additional questions. I will be happy to answer any questions you have, and look forward to the opportunity to help you reach your health and fitness goals. * Please note, the In Person 12 Week, 6 month, and 12 Month programs are not designed for contest prep. Please view the Contest Prep section for available Contest prep programs. Click on the program of your choice below for full program details.